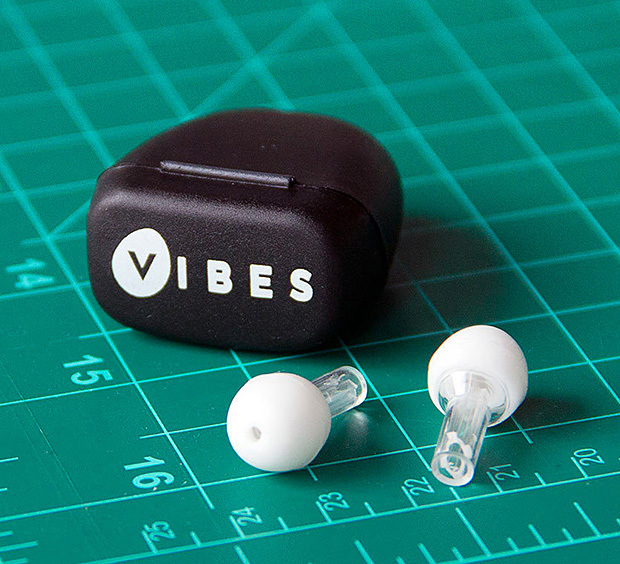 Vibes High-Fidelity Earplugs Save Your Ears, Retain Your Fun | OhGizmo! Summer is upon us, which means you’re going to be going to a bunch of concerts. You’ll leave them with amazing memories, half your liver, and maybe a third of your hearing ability if you’re lucky. So do yourself a favour and at least try to save your ears. The Vibes High-Fidelity Earplugs are designs to do two things: lower the amount of sound entering your ears, while preserving its quality. unlike traditional plugs, their design only filters out specific frequencies, allowing you to hear the music as it was intended without muffling. They provide 22dB average reduction in intensity, are washable and come in a fancy carrying case. Best of all, they’re only $24.